Farmworkers aiming to transition to independent proprietorship often benefit from beginning farmer incubator programs that offer agricultural training, subsidized farmland rents, and marketing and business assistance. Incubator initiatives often align with various efforts to stem the tide of shrinking U.S. farm numbers and enhance the viability of small-scale, environmentally and socially regenerative enterprises. Yet even as these promising initiatives provide former farmworkers with initial tools for success, structural barriers can impede beginning farmers' eventual transition to independent proprietorship. Land access is one well-known barrier to entry. Impediments to land access for beginning farmers are frequently framed purely in terms of available acreage and/or sufficient start-up capital. Sociocultural and relational factors mediating land access are less well understood. Our study addresses this gap, examining how sociocultural and relational constraints impede land access for former immigrant farmworkers aspiring to independent farming in California's Central Coast region. We employ qualitative methods, including 26 in-depth interviews, focus groups, and participant observation, to explore barriers to land access faced by aspiring small-scale organic farmers participating in an established regional organic farm incubator program. Our findings indicate that these beginning farmers are highly motivated, possess sophisticated farming skills, and wish to shape their livelihoods independently. However, their access to farmland is mediated by landowner and tenant farmer relationships, including lease arrangements, and sociocultural barriers, including ethnicity and/or cultural identity. 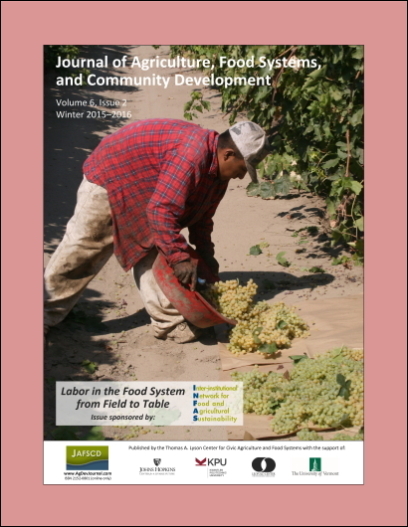 In a context in which incubator initiatives are envisioned as means to facilitate new entry of former immigrant farmworkers into the agricultural sector, this case study analysis traces specific sociocultural contours associated with land access that impede successful proprietorship for beginning farmers. We conclude by suggesting potential strategies for addressing these barriers to entry in order to facilitate enhanced efficacy of incubator programs. Department of Environmental Science, Policy, and Management, University of California Berkeley; 130 Mulford Hall; Berkeley, California 94720 USA. Department of Environmental Science, Policy, and Management, University of California Berkeley; 130 Mulford Hall #3114; Berkeley, California 94720 USA.